The future of self-rescue is here. The Rapid Survival System has been a 5 year project with North Water Paddle Sports. We believe it is the most important advancement in swiftwater rescue in many years. This self-rescue tool is worn like a throw bag until its needed. If you are swimming and being overcome by whitewater, entrapped and trying to keep your head to the surface or needing flotation in a hydraulic to get air and catch rope, the RSS will deliver 150lbs flotation in seconds. 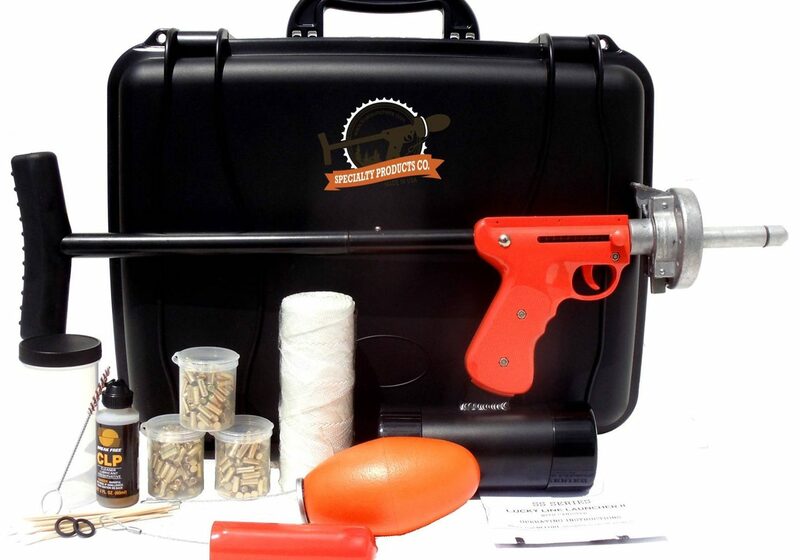 SS Series Line Launcher is one of the most compact and useful line launchers on the market. 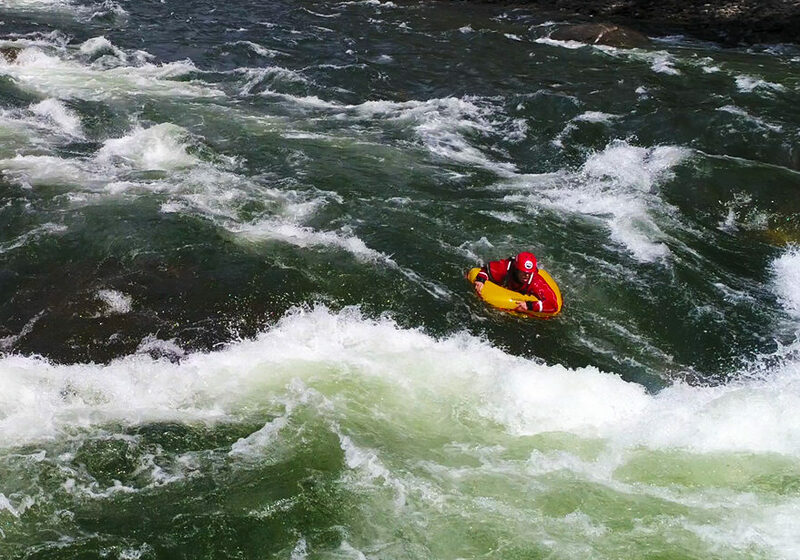 It was designed specifically for Swiftwater Rescue and Ski Patrol. The launcher uses 3 different .22 caliber blank loads to launch different projectiles a range of different distances. An aluminum canister of center wound 600ft braided nylon acts as a messenger line carried by the projectile. This launcher is ideal for getting lines across canyons, rivers and over ski lift cables during lift evacuation rescues. Kootenay Swiftwater Specialists has created a small, portable waterproof camera and monitor system for searching hard to reach places in the river during search and recovery operations. The 1080p color camera comes with 50ft cable and can be easily mounted to a pole, paddle or reach device to probe under rocks, log jams and in deep pools. the camera is water proof and has an LED lighting system that can be activated remotely. The color 7" DVR monitor has its own rechargeable battery, a sun shroud and the ability to take photos and 1080p video. Images and video are saved to a Micro SD card and can be viewed on the monitor or transferred to another device. The monitor is stored and protected in its own water proof case for transport.